Veterinary Pet Insurance Co. the nation’s first and largest provider of pet health insurance, commemorates Pet Parent’s Day® on May 3 by teaming up with the Eric and Jessie Decker Foundation in support of Deckers Dogs. A partner of Freedom Service Dogs of America, Deckers Dogs helps fund the rescue, care and custom training of shelter dogs to assist our military veterans returning home with disabilities. Through Memorial Day (May 25), VPI will donate $5 (up to $10,000) to the Eric and Jessie Decker Foundation for every unique pet insurance quote generated at petparentsday.com. 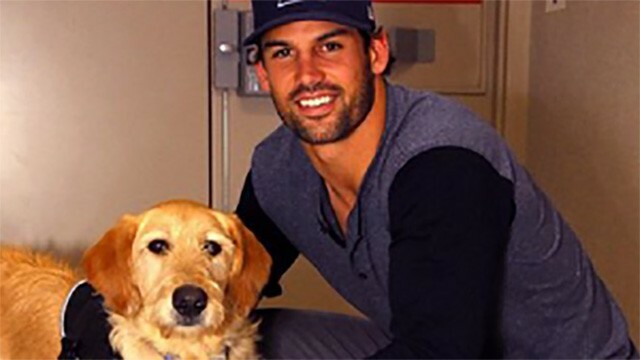 New York Jets wide receiver Eric Decker and his wife, country music singer Jessie James Decker, established Deckers Dogs in 2013 to support Freedom Service Dogs of America, an organization developed to help returning war veterans and military personnel transition from active duty and combat to civilian life. Active duty service members and veterans with disabilities are placed with highly specialized service dogs who help them find a new level of independence in their post-combat life. To continue reading, please visit PR Newswire.